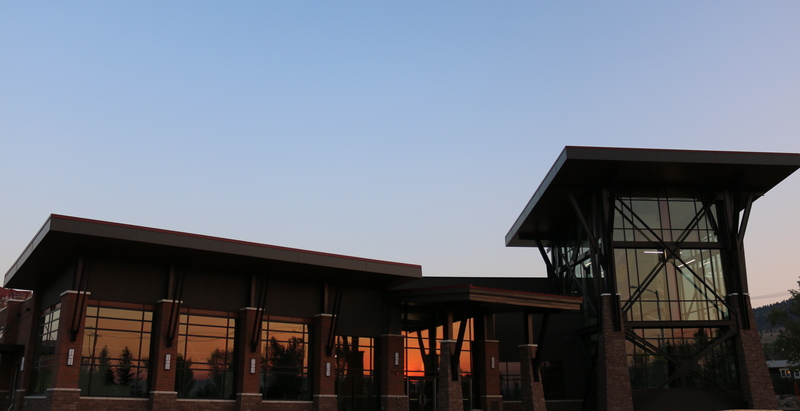 The Hunthausen Activity Center is one of the newest addition to the Carroll College campus landscape. The facility consists of a climbing tower, bouldering wall, outdoor recreation center, multi-purpose exercise rooms, gymnasium, cardiovascular equipment and weight equipment areas. The Hunthausen Activity Center opened in February 2017. Hunthausen Activity Center staff provide leadership to the college's recreation, fitness and intramural programs. Students and employees have the opportunity to participate in fitness classes, intramural sport, outdoor equipment rental, and individual use of cardiovascular and weight equipment. The inaugural year of the Hunthausen Activity Center will define program and facility offerings. For more information, contact Patrick Harris, Director of Student Activities and Leadership, at pharris@carroll.edu or 406.447.4380 or Brad Maddock, Assistant Director of Student Activities and Leadership at bmaddock@carroll.edu or 406.447.5453. Closed Mar. 2-9. Re-opens Sunday, Mar. 10 with normal hours. The mission of The Hunthausen Activity Center is to provide the Carroll community with diverse programming to engage the mind, body, and spirit and bring joy and balance to our lives.